Whether you prefer Golden, Liquitex or TriArt acrylics, professional paints should be paired with professional brushes designed for use with the best acrylic paints. 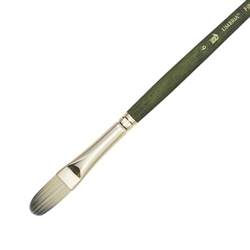 Please browse our website to explore the possibilities offered by the best brushes like Escoda, Silver Brush, Robert Simmons, Raphael and DaVinci. If you are looking for value then check out our Princeton and Winsor & Newton brush lines where quality and value go hand in hand.